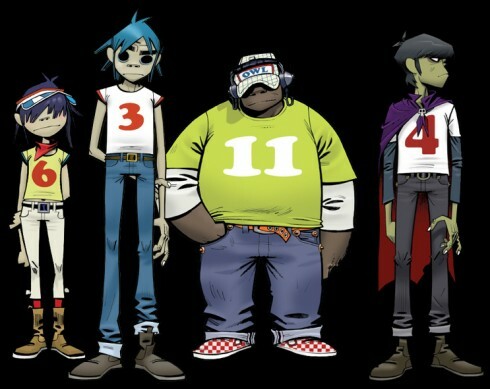 As part of Converse’s Three Artists, One Song campaign, James Murphy and Andre 3000 will join The Gorillaz. Converse continues their Three Artists, One Song project this month with The Gorillaz, Andre 3000, and James Murphy, formerly of LCD Soundsystem. “DoYaThing” will be released on Feb. 23, along with a new Gorillaz footwear collection designed by Gorillaz co-creator Jamie Hewlett for Converse. More than interested in hearing this tasty jam and strongly considering a fresh pair of converse at the same time. We’re due to hear some slang-heavy southern dialect from Andre 3000 and some remnants of classic synth effects and hip beats from everyone’s favorite virtual gang. Got me run back to Demon Days in anticipation, maybe a little ATLiens for good luck. On top of that, James Murphy is should take this piece into a dream world. Bart Scott- Can’t Wait!.